"LED Pixel Tape is the future of LED Strip Lighting and Full Colour Projection"
LED Pixel Tape grants the user greater control parameters and functionality when compared to a ordinary RGB LED Strip Light. The improvements are very noticeable in comparison such as smoother transitions and colour projections, a wider amount of patterns (like colour chasing) as well as being able to be modified as a surface for video data. 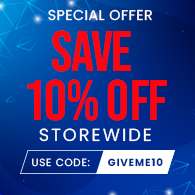 What makes it any different from RGB LED Strip Lights? The answer is quite simple actually. 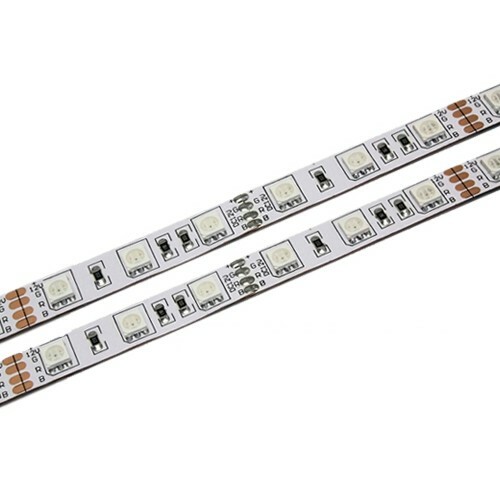 With RGB LED Strip Lights your only able to control the entire strip as a single data stream (each LED moves and changes at the same rate as each other). 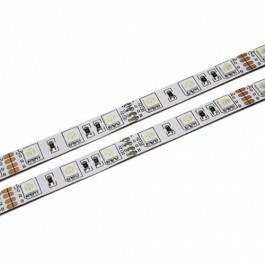 With LED Pixel Tape you are able to control every 3 LED individually. This allows for highly improved smooth transitions between colours and much, much more. Why not take a quick look on YouTube for LED Pixel Tape, and see what they can really do!